Facility managers must understand what a building's data are saying, and be willing and able to make adjustments to ensure long-term efficiency. The success of MBCx is heavily contingent on buy-in from the facility team. 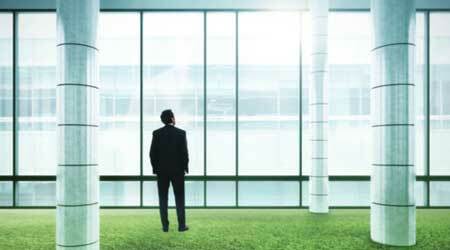 The facility manager must make programmatic changes needed for energy savings. Even if it is a zero-cost quick fix, the facility staff needs to have the capacity and resources to do it. The most critical resource for MBCx is high quality data, a detail that is frequently overlooked. For example, the accuracy of a sequence of operations can make the difference between achieving initial design performance goals or falling short. High-end building management systems intend for very little set point/schedule change; however, in circumstances such as frequent employee complaints, facility managers may be inclined to constantly adjust set points and deviate from the sequence of operations. The continual manual override could cause inefficiencies, which might be avoided if the facility team had a broader understanding. It is important to establish facility priorities and determine which issues make more sense to tackle now. With controls, the most noticeable problems may be the smallest, while larger issues are the ones that are more difficult to identify. As sensors continue to become more affordable, we can gather larger amounts of building data. Although there is not a robust amount of historic data for new buildings to tap into, many industry professionals believe artificial intelligence will soon be plugging into performance data to make more dynamic decisions. From a commissioning agent standpoint, a necessary improvement to the process is open lines of communication with the design team. MBCx agents can feed a vast amount of information and lessons learned back into the design process and influence future design. Balancing stringent green building standards with the selection of efficient and technologically advanced systems, designers must consider many options to achieve the long-term operations of facilities. Although commonly overlooked, the importance of bridging the gap between initial design considerations and real-time operational priorities has become increasingly apparent. Katie Stanford (katies@stok.com), LEED AP O&M, is part of the sustainable buildings team for stok.